Careful advance preparation can help reduce the scope of a tax audit or examination and can lead to a more favorable outcome. Although a thorough understanding of the underlying facts and applicable law is a must, understanding IRS procedures is critical to preserving a taxpayer’s rights. We summarize below and in Parts II & III, to follow later, some of the more important IRS procedural rules and guidelines governing civil IRS examinations and audits, including: how returns are selected for examination; a brief description of the types of civil examinations; an explanation of the tools available to IRS examining agents and revenue agents; dispositions in IRS audits or examinations and, if necessary, where to seek relief from an unfavorable result in an examination or audit. It is helpful to understand how tax returns are selected for examination. The IRS selects returns for examinations in several ways, some based upon objective criteria coded into a carefully protected computer program and others based upon old fashioned detective work. The main computer program that the Service uses to identify returns for examination is the Discriminate Function System. The Discriminate Function (DIF) score is the product of a mathematical formula for identifying and selecting returns for examination. The program scores tax returns using a formula based on historic information obtained from specific examination programs. A high DIF score indicates a high potential for adjustment. The Service periodically conducts compliance studies to update and reformulate its basis for audit selection formulas. Different types of taxpayers and returns are subject to different DIF formulas. While the specifics of the program are not public, certain items appear to cause a return to be selected for examination, such as participation in a tax shelter, large charitable contributions, home office deductions, large travel and entertainment expense or large automobile expense. Returns selected under the DIF program are then manually screened so that attachments to the return and other data that a computer cannot detect can be properly considered. The Service also relies on information provided by third parties, such as banks, brokers and employers. Much of this information is required to be reported by payers of certain types of income on Forms W-2 or 1099. Referrals may also be made by other examining agents. For example, the return of a party related to another taxpayer being audited, such as the partners of a partnership being audited may also be selected for audit. The Service also may investigate tips regarding potential noncompliance, and select those returns for audit as a result. Examinations may also be triggered a variety of other ways, such as, by mathematical errors or missing information. Also, a claim for refund can trigger an examination. IRS civil examinations can take a variety of forms, depending upon the type of taxpayer, the complexity of the tax return and the initially determined scope of the exam. The simplest examinations conducted by the IRS are Campus Examinations. Campus Examinations are correspondence exams addressing simple problems like substantiation that can be resolved easily by correspondence and/or telephone. Area Office Examinations may be conducted for slightly more complicated issues such as small business returns and more complex non-business returns. Area Office Examinations may be conducted by correspondence, office interview or even by a field examination, depending on type and complexity of the return. In all cases, the taxpayer is asked to provide supporting documentation of questionable items. Business returns will always be examined in an office or field interview rather than a correspondence examination. Examiners at the correspondence and office levels are much less invasive. The examining agents are required to process many cases and often have little time to completely familiarize themselves with the return. Indeed, the examiner may not have reviewed the taxpayer’s file and return until after the taxpayer has replied to all correspondence regarding the examination, and often not until the day of the interview. The scope of office examinations is generally limited to items on a checklist of issues contained in the Internal Revenue Manual. The examiners have little discretion and basically, are charged with verifying income and deductions based upon records provided. A taxpayer’s inability to produce adequate records may lead not only to disallowance of the disputed items for the year at issue, but also to audits of other years’ returns. Field Examinations involve more complex issues. The examining agent will be a revenue agent, as opposed to an office auditor. He or she will be better trained and will have had more experience. A Field Examination consists of examination of a taxpayer’s books and records at the taxpayer’s place of business or where the books, records or source documents are maintained. The agent will review the taxpayer’s entire return and all documentation related to that return. The agent may be assisted by a technical specialist such as an “engineer agent” if the return presents a special issue such as valuation. Unlike, office auditors, revenue agents spend considerable time preparing for the examination. Prior to the examination, the revenue agent will review any prior examination reports from the same taxpayer. This may lead to scrutiny of recurring issues or inclusion of other years’ returns in the examination. Of course, the revenue agent will also look at the return for unusual or questionable items. 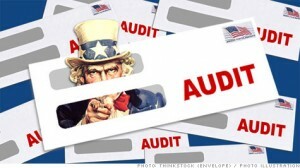 Taxpayers are guaranteed certain important rights during audits and examinations. Among these rights is the right to be provided certain information describing the examination process and other rights at the commencement of the examination. Examinations must be conducted at a reasonable time and place and taxpayers have the right to bring representation to any interview. Taxpayers have the right to record any interviews with the agent. Taxpayers also have the right not to be interviewed, except through the summons process, and must be notified of any summons to a third party and of their right to quash any such summons. Importantly, taxpayers have the right to have their tax information kept confidential. Under prior law, there was a rebuttable presumption that IRS’s determination of tax liability is correct, and therefore (with some exceptions such as fraud), the burden of proof was on the taxpayer to show that the IRS’s determination was wrong. Under new law, the IRS has the burden of proof in any court proceeding with respect to a factual issue related to income, estate, gift, and generation-skipping transfer taxes if the taxpayer introduces credible evidence relevant to the determination of the taxpayer’s tax liability. To be eligible, the taxpayer must prove that he or she complied with required statutory and regulatory substantiation and recordkeeping requirements; cooperated with reasonable IRS requests for meetings, interviews, witnesses, documents, and information; and (if not an individual) met certain net worth limitations. Cooperation generally involves: providing reasonable assistance to the IRS in accessing witnesses, information, and documents not within the taxpayer’s control; exhausting administrative remedies, including IRS appeal rights; and establishing the applicability of a privilege. Cooperation does not require that the taxpayer agree to an extension of the limitations period. 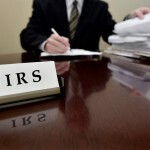 The IRS continues to have the burden of proving fraud, irrespective of the new law.